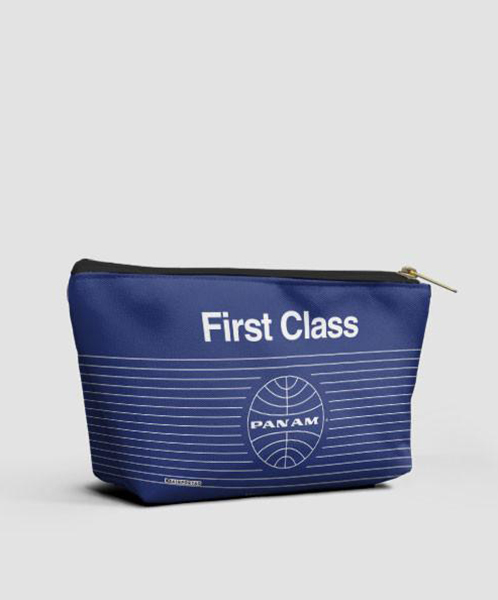 The Pan Am First Class T-Bottom Bag is perfect for any occasion! You can use it as a clutch, handbag, purse or toiletry bag. For work, school, fun and travel. Carry your toiletries, cosmetics, adapters, chargers, cellphone, passport, cash, and your exclusive super graphite metal engraved frequent flyer miles card. Has a t-bottom and measures 8.5” x 4.5”.